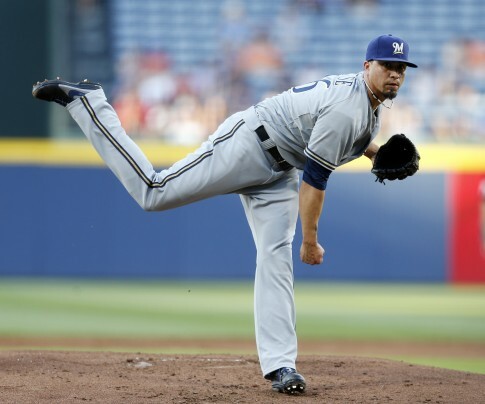 Things may be coming full circle this year for Brewer starter Kyle Lohse, he may be headed back to Minnesota where his career began back in 2001. No, the Brewers don’t have any plans to trade their number two starter to the Twins, Lohse may end up being one of the Brewer representatives for the 2014 MLB All-Star Game when Minneapolis hosts the 85th Mid-Season Classic, July 15th at Target Field. This is Lohse’s 14th season in the big leagues and hasn’t made it to the All-Star game yet, but, if he “keeps on, keepin’ on” like he has the first two months, he should. His minuscule ERA is his lowest of his career, in 2012 he posted a 2.86 ERA with the Cardinals and finished 7th for the Cy Young. Since 2011 Loshe has the second most wins in the National League with 47 (tied with Greinke, Kershaw has 53) and the third best winning percentage at .681 behind Greinke and Kershaw, and ahead of Lynn, and Cueto. This entry was posted in Baseball, Milwaukee Brewers, MLB, sports and tagged All-Star Game, kyle lohse, Milwaukee Brewers, Minnesota, MLB. Bookmark the permalink. He will be the only Brewer at the All Star Game. Everyone else will be recovering from injuries.